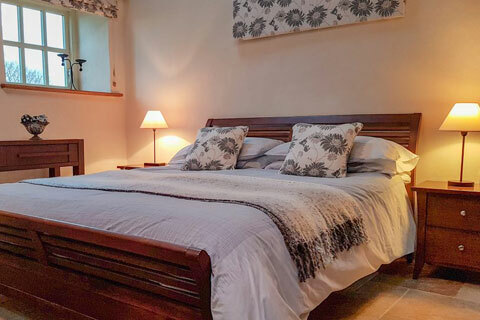 Built in the 1800’s, Yr Hafan is a delightful holiday complex of 3 lovely stone built self-catering cottages and a boutique B & B set in 1.5 acres of landscaped gardens. Yr Hafan enjoys an enviable location in the Pembrokeshire National Park. Situated just 1.5 miles from the pretty fishing village of Porthgain with its galleries, famous pub - The Sloop Inn - and award-winning fish restaurant - The Shed, Yr Hafan is close to the Cathedral town of St. David’s and some 9 miles from Fishguard. Within 2 miles are the sandy beaches of Traethllyfyn, Abermawr and Abereiddy (with its famous Blue Lagoon) and just 6 miles away is the Blue Flag beach at Whitesands, one of the best surfing beaches in the country. 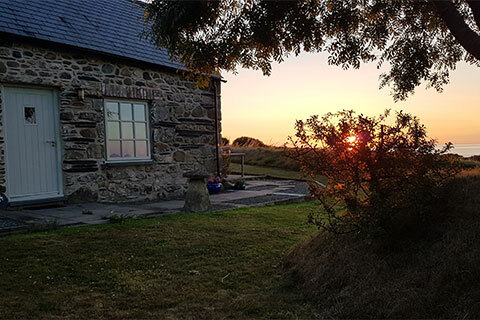 In a superb coastal setting, overlooking the sea, coast path and views towards Strumble Head, it is the ideal location to explore the spectacular coast and countryside of Pembrokeshire…. Located in our converted barns, overlooking the gardens with panoramic views of Strumble Head and out to sea. 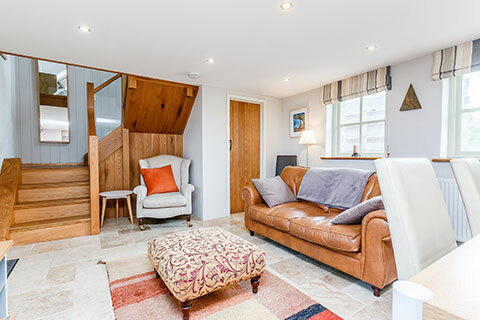 Abercastle is a lovely bedroom suite located in the converted barn, named after a local bay, has sea views and its own external access to the gardens and patio area. 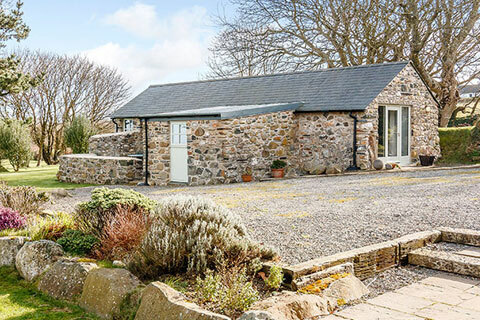 A lovely very spacious two person barn with private patio and garden areas and far reaching views of Strumble Head. Stylish and spacious open plan living area with comfortable leather sofa and well equipped white contemporary kitchen including built-in fridge freezer and dish washer.